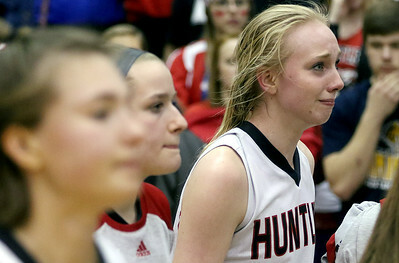 Sarah Nader - snader@shawmedia.com The Huntley girls basketball team walks off the court after losing Monday's Class 4A Fremd Supersectional against Fremd February 29, 2016. 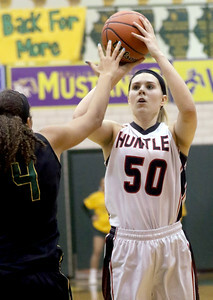 Huntley was defeated, 48-36. 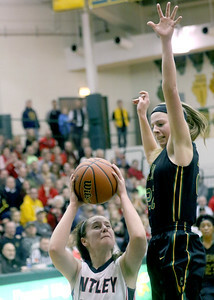 Sarah Nader - snader@shawmedia.com Huntley's Morgan Clausen (right) goes after a rebound during the second quarter of Monday's Class 4A Fremd Supersectional against Fremd February 29, 2016. 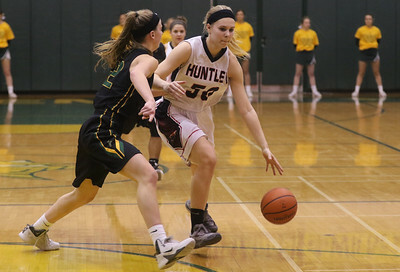 Huntley was defeated, 48-36. Sarah Nader - snader@shawmedia.com Huntley's Morgan Clausen walks off the court after Huntley lost Monday's Class 4A Fremd Supersectional against Fremd February 29, 2016. 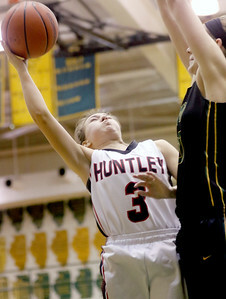 Huntley was defeated, 48-36. Sarah Nader - snader@shawmedia.com Fremd's Grace Tworek (left) blocks a basket from Huntley's Morgan Clausen during the fourth quarter of Monday's Class 4A Fremd Supersectional February 29, 2016. 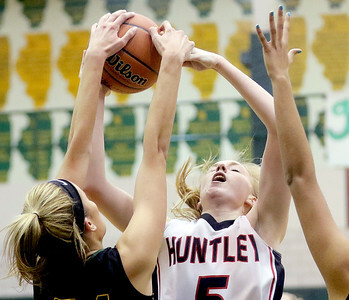 Huntley was defeated, 48-36. 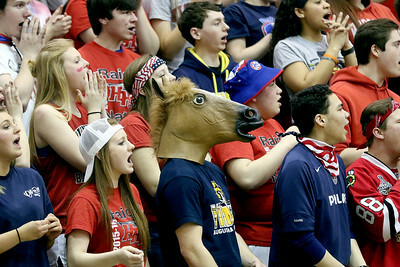 Sarah Nader - snader@shawmedia.com Huntley fans cheer on the girls basketball team during Monday's Class 4A Fremd Supersectional February 29, 2016. 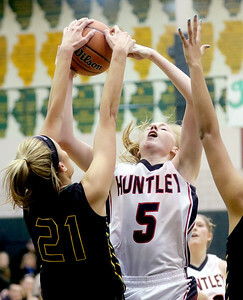 Huntley was defeated, 48-36. 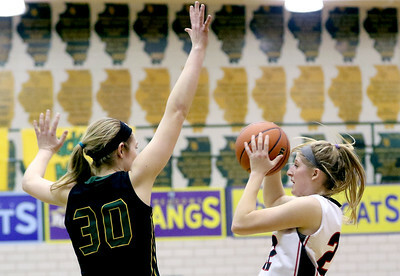 Sarah Nader - snader@shawmedia.com Huntley's Alexis Lowitzki (left) shoots a basket during the fourth quarter of Monday's Class 4A Fremd Supersectional against Fremd February 29, 2016. Huntley was defeated, 48-36. Sarah Nader - snader@shawmedia.com Huntley's Ali Andrews is guarded by Fremd's Erin Lenahan while she dribbles towards the basket during the third quarter of Monday's Class 4A Fremd Supersectional February 29, 2016. Huntley was defeated, 48-36. Sarah Nader - snader@shawmedia.com Huntley's Madeline Moffett (left) is guarded by Fremd's Erin Lenahan while she shoots a basket during the fourth quarter of Monday's Class 4A Fremd Supersectional February 29, 2016. Huntley was defeated, 48-36. Sarah Nader - snader@shawmedia.com Huntley's Ali Andrews shoots a basket during the third quarter Monday's Class 4A Fremd Supersectional against Fremd February 29, 2016. Huntley was defeated, 48-36. Sarah Nader - snader@shawmedia.com Fremd's Julia Wacker (left) guards Huntley's Paige Renkosik while she passes the ball during the fourth quarter of Monday's Class 4A Fremd Supersectional February 29, 2016. Huntley was defeated, 48-36. 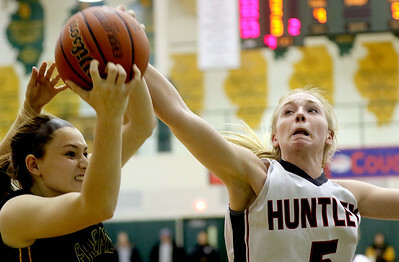 Huntley's Madeline Moffett (left) is guarded by Fremd's Erin Lenahan while she shoots a basket during the fourth quarter of Monday's Class 4A Fremd Supersectional February 29, 2016. 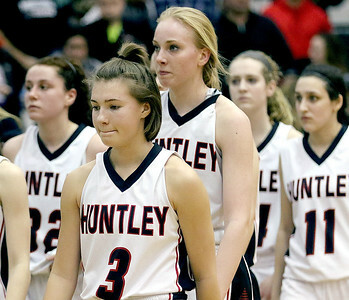 Huntley was defeated, 48-36.